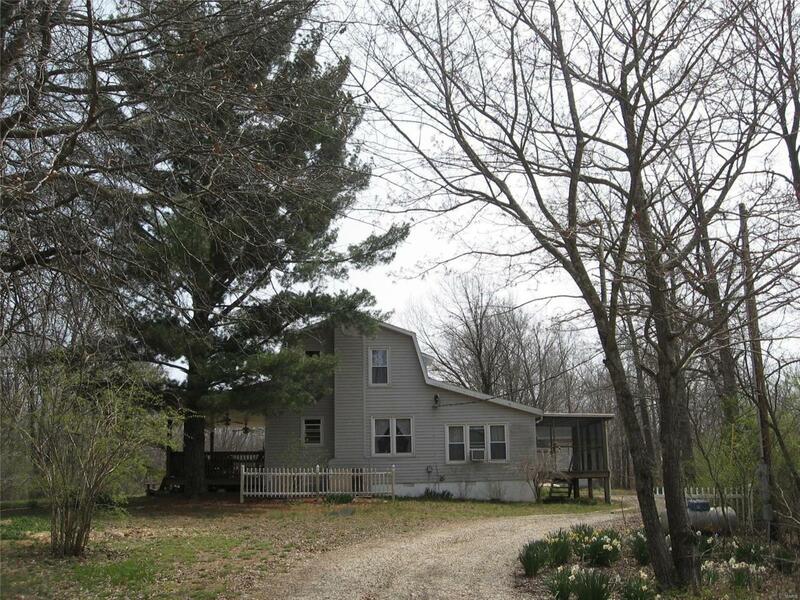 SECLUDED, MISSOURI OZARK COUNTRY HOME: Located between Patton & Marble Hill, this 3-BR, 1.5-BA home sits on 48.64 mostly wooded acres. The home offers over 1200 sq. ft. of living space, electric and outdoor wood furnace for heat, central and window air, covered front porch and a screened-in back porch for relaxing and watching the deer and turkey. Outside you'll find a large detached garage/workshop that would please anyone. There are two pens already built and about 3 acres cleared for your animals. If hunting and fishing is your thing, you will for sure love the stocked pond and the 45 acres of woods and food plots for all your outdoor adventures. If you're looking for a full time residence, a second home or a place to hunt and relax, the privacy this property offers could be just what you've been looking for.